Note: This option is only available for the Shopify Advanced Plan. 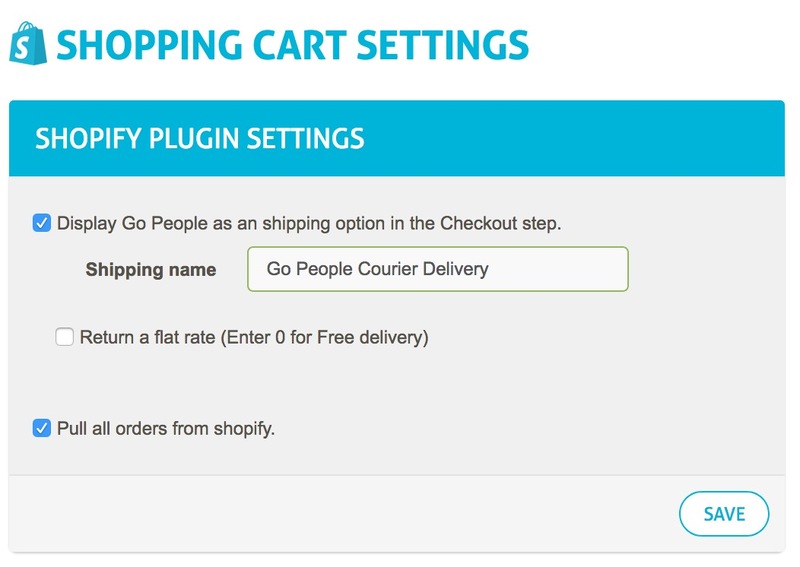 In the settings option, check ‘Display Go People as an shipping option on the Checkout step’, and click SAVE. 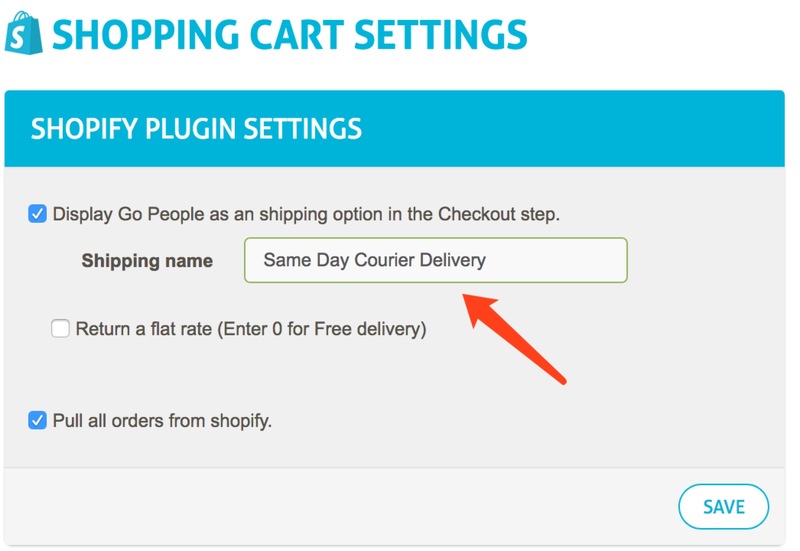 Go People Courier Delivery will then appear in your shipping method list as below. To customize the shipping method name, you can update them via the “Shipping name” input box and click SAVE. 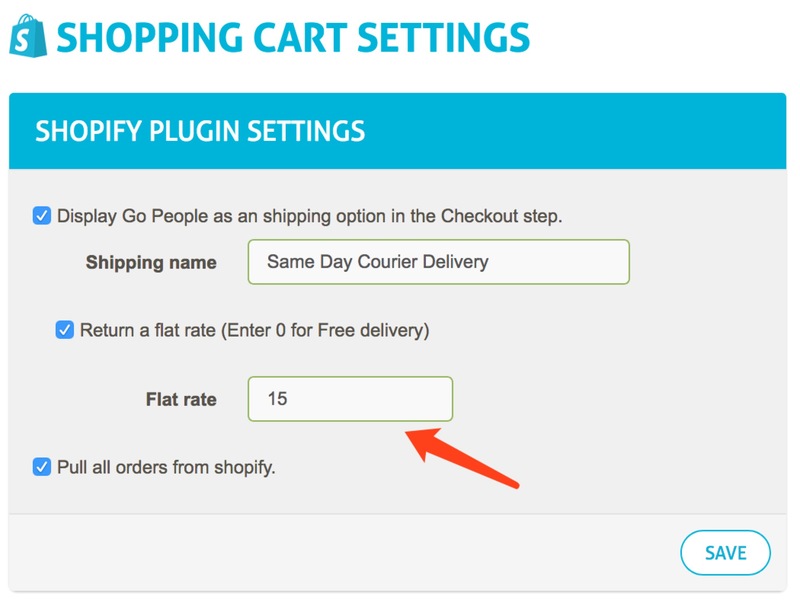 If you unchecked the ‘Display Go People as an shipping option on the Checkout step’ options and SAVE, the option will be removed from the Shipping method list. If you would like to return a flat rate to your customers, check the ‘Return a flat rate’ option, enter the shipping rate and click SAVE. If you entered 0 in the flat rate text box, a free delivery will be offer. The checkout page will display the free delivery you decided on.